In economics there is a concept known as the law of unintended consequences, which, in simple terms states, that when you upset a complex system - by, say, government intervention - the results can often be unexpected, and sometimes deleterious. One such recent example looks at ratios in child births. “There’s a natural ratio of men to women for our species, and it is not equal. For every 100 girls, 105 boys are born. But in some places, like India and China, the ratio is skewed. One Chinese city recorded an astounding 163 boys born per 100 girls. So, why is this happening? Expecting parents, wanting a boy - a much more valued resource in some economies - are able to abort unwanted girls. Infanticide. And the advent of technology is helping in this. When researchers at the University of Missouri School of Journalism in the US set out to study the effects of two types of content commonly found in anti-tobacco television messages - namely the use of fear and images of disgust - they found that such a strategy may not be effective. Communicating health and promoting better living is hard to do at the best of times. When it involves trying to get people to change habits, it becomes far harder, especially when such a habit is addictive. 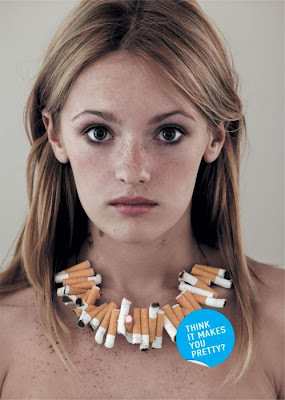 Anti-tobacco messages commonly and increasingly employ shock tactics, essentially to scare you into giving up smoking. In a study published in the Journal of Media Psychology, researchers studied how subjects responded to different anti-tobacco messages (differing in combinations of the level of threat/fear and disgust used in the ads); assessed on the basis of memory retention, change in behaviour, heart rate, corrugator response, and recognition memory. Interestingly, there is a muscle in the body - the corrugator muscle - located just above the eye socket on the brow, that is commonly used as a marker of negative emotional responses. Activity in this facial muscle is positively related to negative emotional responses. Messages high in both fear and disgust content were rated the most unpleasant, but also reduced corrugator muscle responses, accelerated heart rate, and worsened recognition memory. Noting of accelerated heart rate relates to the fact that the cognitive resources allocated to cognitive and emotional processing changes depending on the level of unpleasantness and disgust in the message content. And that change is marked by a change in heart rate. When viewing content there is a process at work allowing the information to be initially encoded, then draws on long-term memory to make sense and interpret the message content, and finally the information is stored to memory. Unpleasant or disgusting content increases cognitive resources allocated to encoding the message, as evidenced by signiﬁcant cardiac deceleration. A “defensive cascade” exists - that allows individuals to avert away from such images of fear and disgust. This defensive processing in some form underlies responses to fear. Add to this the fact that individuals have limited cognitive resources to allocate to mental tasks involved in processing messages, means the researchers were able to mark at what point the individual withdrew away from the content in the messages. The hallmark of the “defensive cascade” is a gradual withdrawal from stimuli that are increasingly unpleasant, marked by an increase in heart rate. During exposure to unpleasant imagery, we initially increase cognitive resources allocated to encoding; but as unpleasantness increases, individuals begin showing signs of a stronger and stronger defensive response. Researchers concluded with the unintended consequence: “when the goal is to enhance encoding of message content into memory, the combination of threat and disgust in a single anti-tobacco message is probably not a good strategy”. If you’re trying to quit smoking using all available smoking cessation aids to no avail, perhaps you should consider going to a substance abuse treatment center and seek help there. This rather convincing study shows that in the field of public health education and outreach "one does not attract flies with vinegar". It seems to sat that too explicit medical truths about negative health consequences can backfire if presented too directly/abruptly at the onset. Interestingly, people who have witnessed a loved one long painful death of lung cancer or other dire lifestyle-induced illness tend shun the destructive behavior themselves. Maybe a more progressive approach (for example, ad "episodes" like Geico's cavemen & gekko's endearing the viewer first) can be derived from the real-life learning model of "acquired wisdom". One has to be emotionally engaged to willingly endure the sights of these ads and then becomes more willing to integrate instead of negate the Cassandra warning. Thank you bringing attention this link. A very interesting study. If I understand the conclusion correctly, they have found that emotional responses to fear and disgust may prevent the brain from memorizing the accompanying facts the campaign tries to imprint into the reciever. If directed at smokers, the cognitive dissonans between the message conveyed and their own habits may also turn on denial mechanisms to rationalize their behavior and limit the impact of the message (as is often seen in climate-change information campaigns). Though "scare-campaigns" often have a measurable effect, the effect is small and short lived. However, though this is often how these ads are used, it is not the only way to use such advertisement. In Norway we have had great success with the use of disturbing imagery to combat smoking. NOT as a medium to convey information, but as an emotional firmament to support regulatory changes. Systemic changes - such as banning smoking from pubs and cafes, removing cigarettes from visible sales in stores, banning cigarette commercials etc. 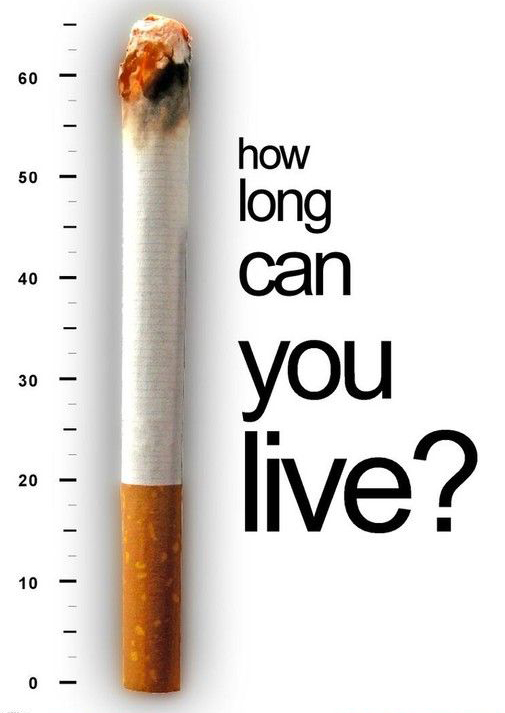 - does indeed have an impact on smoking and attitudes towards smoking. Attempts at making such changes tend to start debates about personal freedoms and responsibilities - a highly emotional issue. The strategic use of emotion-provoking material as one of several tools can be highly effective in quenching such emotional responses and strengthening support for change. How can you be against a law that protects the employees at the local pub from the scary lung-tar they showed on TV? Maybe people just don't like being nagged and lectured to by complete and total strangers about what to do with their lives. Why not just accept that there are legal products out there called tabacco cigarettes and that some people like to use them. I think that simple policy would significantly reduce the level of angst and discord for all involved. the study seems to indicate that the unconscious mammal brain response to fear and disgust can obliterate - in the short reaction time allowed by ads - the very rationality of your statement. It seems there has to be an allowance for time and attention for intellectual reason to be able to take over instinctual repulsion and overcome mind and memory mechanisms that proctect us from registering ominous messages. That is absolutely correct, and the statement is merely a tabloidization of a typically wanted response from the debate. However, in this case the use of disturbing imagery was NOT intended to motivate people to take in facts about the dangers of smoking, but simply to engrain a counter-emotion to any knee-jerk reactions to restrictive legislation. The intention is not to invoke rationality, but simply the emotion itself. The intellectual reasons were, in this example, pushed through other channels (such as health authorities webpages etc.) where people would seek information if they so wished. Notably, this was all part of a structured campaign over several years, demonstrating your point that it does indeed take time for reason to overcome such obstacles. Yet there is still a room for strongly emotional campaigns, as long as they are not intended (if I understand correctly) for the reciever to absorb new information from them. Basically, an image can be so disturbing that its underlying message is ignored. Interesting difference between fear response and informed thinking. More and more campaigns were made for “anti-smoking.” Some anti-smoking campaigns include banning smokers in a certain parameter, or if caught they will be given penalties and the most common is the usage of disrupting images found in the boxes of cigarette. In South Korea, their aim is to stop the smoking madness by strengthening their advocacy against smoking and promote more smoking warnings.